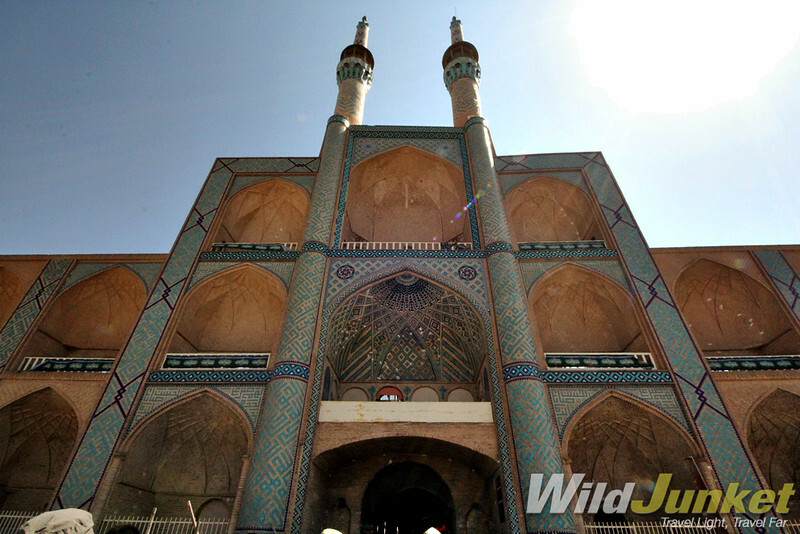 I’ve just completed my Silk Road journey through Central Asia with Oasis Overland. Our trip started in Kyrgyzstan and we traveled through Kazakhstan, Uzbekistan, Turkmenistan, Iran and ended in Turkey. During this overland trip, we spent just under three weeks traversing through Iran, from the eastern corner to the western edge. It was the highlight of our trip and I hope these photos will show you what an amazing country it is. Mention Iran and many think of burkha-clad women, burning flags and war. But these stereotypes can’t be further from the truth. 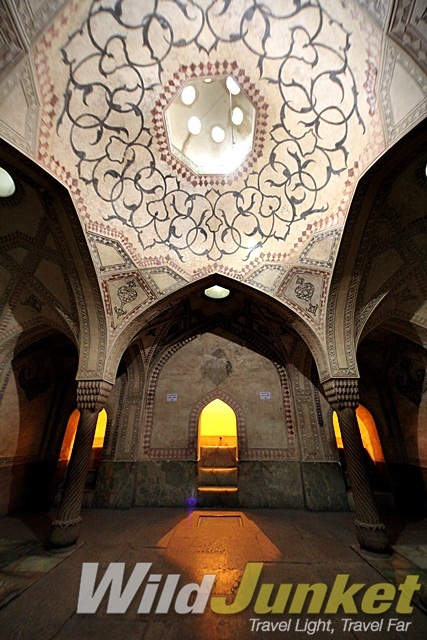 For those who are curious and open to new discoveries, Iran is packed full of surprises. It is a relatively safe country to visit and there’s so much to see and do in terms of historical and cultural sights: wander through the thousand-year-old ancient city of Persepolis, get lost in the mud-brick alleys of Yazd, contemplate in the beautiful turquoise-domed mosques that dot Esfahan, meet locals in the gardens surrounding Shiraz and pray with thousands of pilgrims at the country’s holiest city Mashad. The Islamic Republic has an extremely rich cultural heritage and its attractions can definitely rival those of world-famous tourist destinations. Best of all, you won’t find hordes of tourists here. It won’t take you long to question how such a charming country can be portrayed in such a negative light by the media. Beyond the stereotypes is a country desperate to been seen for what it is, rather than what it is depicted to be. 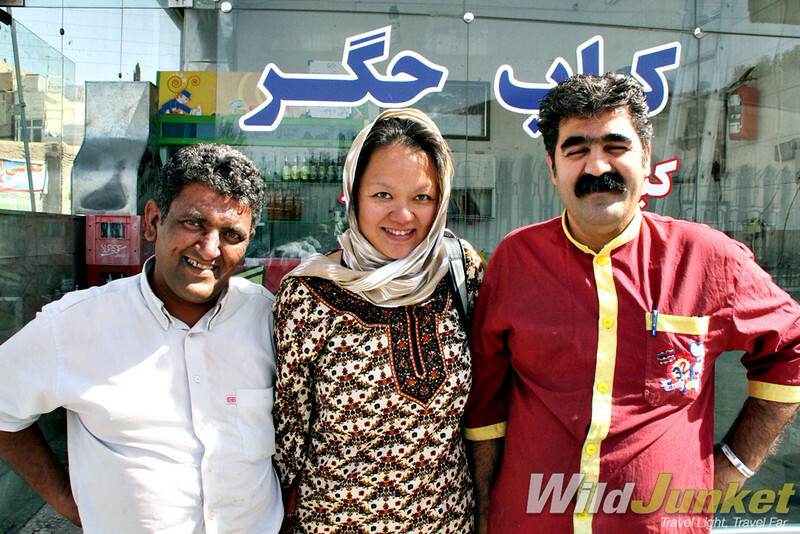 The Iranians are undoubtedly the friendliest people I’ve ever met in the world. Travelers will often find themselves getting invited to stranger’s homes, being treated to endless flow of tea from a shop vendor and getting a free ride from helpful drivers along the way. Locals tend to come up to you, ask where you’re from and genuinely want to get to know you. I’ve always agreed with the saying “it’s the people that makes a place”. It can’t be more true here in Iran where experiences with locals truly live the longest in your memory. While traveling in Iran, the two topics that most find impossible to escape are religion and politics. These are complex issues that aren’t black or white, but as I discovered, if you’re respectful of their opinions, the Iranians will be more than happy to discuss them with you. It’s also important to note that the government’s views may not be in line with what average Iranians think. Regardless, if you do choose to travel here, a journey to Iran will certainly change your perspective of the country, and perhaps, the world. 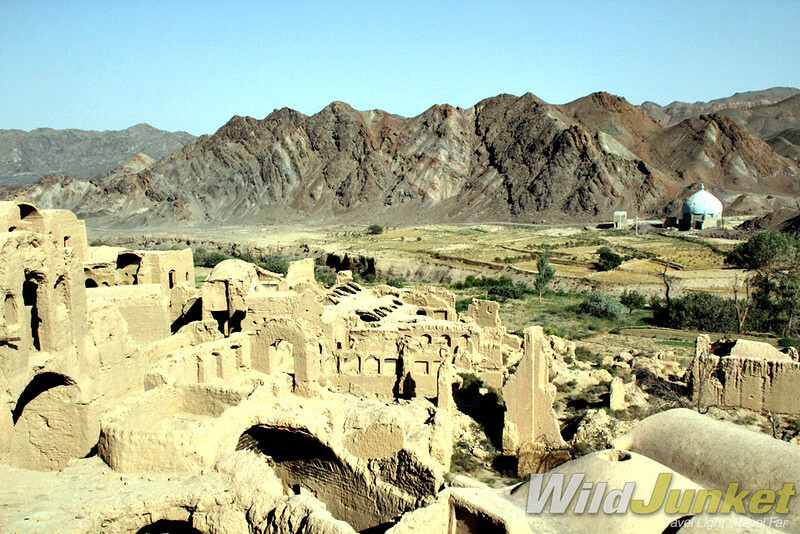 The abandoned mud brick city of Kharanaq: In the abandoned mud-brick city of Kharanaq, we got lost amidst the alleys and crumbling paths that overlooked this beautiful valley. The rock cut temples of Naqsh-e-Rostam: Right at the outskirts of Shiraz, we stumbled upon the spectacular rock tomb of Naqsh-e-Rostam. 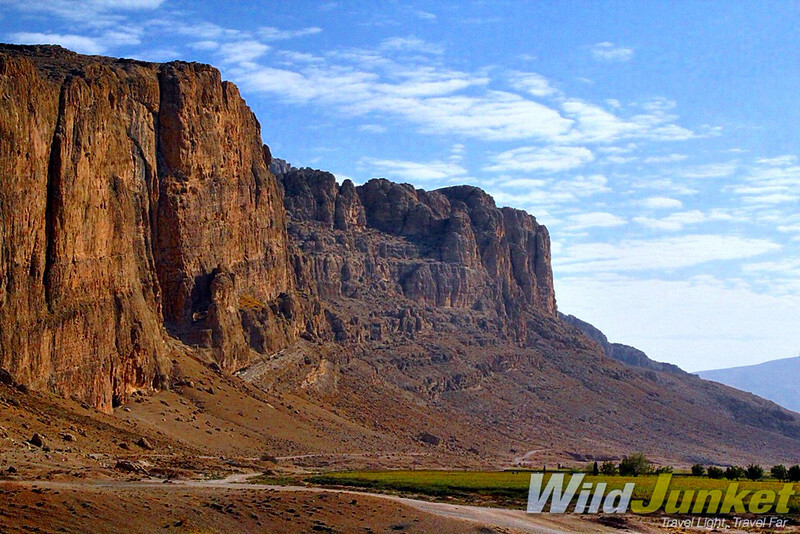 The ragged cliffs that the tombs are carved into remind me of those in Wadi Rum, Jordan. Amir Chakhmagh: Amir Chakhmagh in is an iconic landmark in Yazd and while it’s now nothing more than a gate (the rest of the building is gone), the unique architecture still makes it quite an impressive sight. Royal Palace in Shiraz: The interior of Persian buildings is often just as impressive. This photo shows the interior of the Royal Palace in Shiraz, characterized by arches, spiraled columns and carvings. 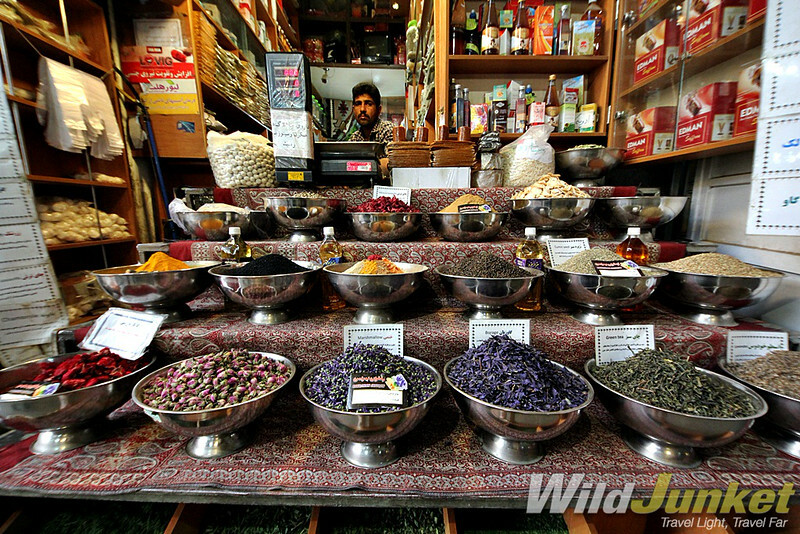 Colorful spices in the bazaar of Shiraz: Bazaars are an important part of Iranian life. They trace their roots back to the Silk Road days and even until today, Iranians are still known to be excellent traders and businessmen. Spices are of course a common sight in the bazaars. 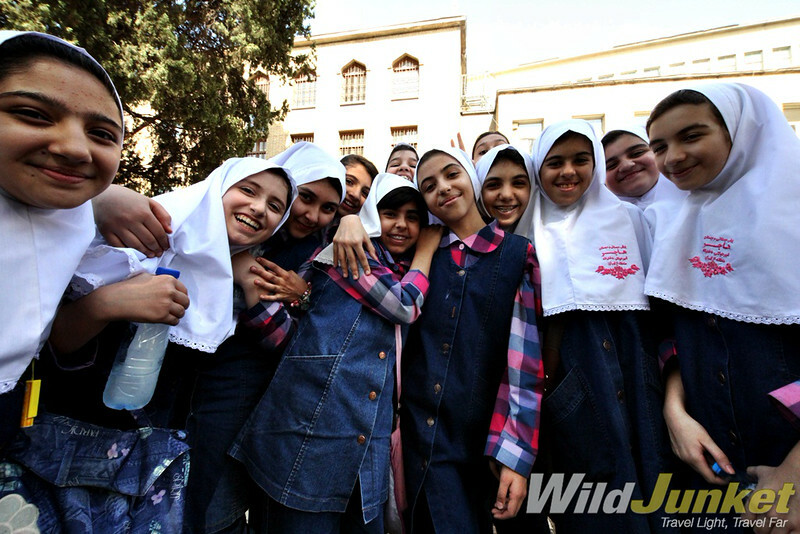 Friendly students in Tehran: The Iranians are exceptionally warm and friendly, with many people stopping to strike up a conversation with us seeing that we’re foreigners. I met this bunch of students at the Golestan Palace in Tehran and they were all excited to practice their English with me. About Nellie Huang: Nellie is a professional travel writer and editor with an eye for adventure and a love for the unknown. Originally from Singapore, she pursued an Engineering degree and spent her days dreaming of travel – the day after graduation, she packed her bags and headed off to experience the world. She then spent the next few years working as a teacher, translator and project analyst. With sheer will and hard work, she eventually found her way into travel writing and fulfilled her lifetime dream. Her work has since been published in numerous publications including National Geographic Intelligent Travel, CNN, BBC Travel, Travel+Leisure Asia, Wend, Women Adventure Magazine, Food&Travel, International Lifestyle, TNT Magazine, and Explorer, amongst others. Click to see her portfolio. She is also a contributing guidebook author of VIVA Travel Guide Guatemala (1st Edition) and writer for World Travel Guides. This entry was posted in Architecture, Landscape, People & Society, Travel and tagged Architecture, Culture, Nature, People, Photos, Travel on November 9, 2014 by socialinform.